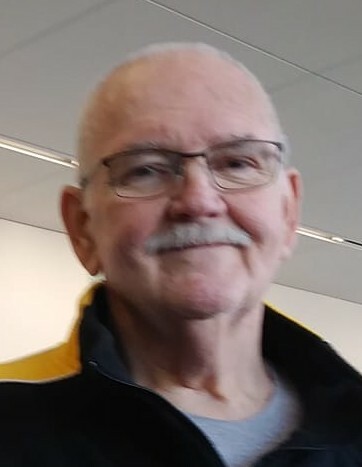 Cecil D. “Butch” Bentley, 73, of Keota, Iowa, formerly of DeWitt and Maquoketa, Iowa, passed away at the Clarissa C. Cook Hospice House in Bettendorf, Iowa. Butch was born January 19, 1945, in Maquoketa, Iowa, to Cecil L. and Leona E. (Bentley) Bentley. After graduating from Maquoketa High School in 1963 he went on to graduate from Clinton Community College in 1968 and then received his BA in Art Education from UNI in 1970. He married Sheila Atkinson on January 26, 1964, at UMC in Maquoketa, Iowa. Butch taught for 42 years at Bettendorf, Gladbrook, Maquoketa, DeWitt, Midland, East Central, and Delwood in Iowa, and also in Coolidge, AZ. He was the head custodian at DeWitt Central High for 12 years, and always worked part-time and summers at local grocery stores as well. Most recently he worked at Dynamic Tube in Maquoketa. Butch was a member of Faith United Methodist Church in Monmouth, Iowa. He was also a member of Helion Masonic Lodge #34, Friends of The Maquoketa Caves, and Coronado Car Club all in Maquoketa. He enjoyed old cars, 60s music, drawing, the Hawkeyes, and his children and grandchildren’s activities. He is survived by his loving wife of 54 years, Sheila; sons D. Andrew (Rhonda) of Burlington, and Eric (Mary) of Huntley, IL; Sarah (Barry) Haiar of Maquoketa; grandchildren, Drew and Allison Bentley, Cameron and Meghan Bentley, and Hannah Haiar; a great-grandson, Dayton Jacob; nephew and nieces, Fred Clark, Lynnette Forth, and Tasha Croffott and their families; cousins; and a god-daughter, Jessica Bates. He was preceded in death by his parents, his grandmother, Hannah, his sister, Alice Clark Warfield, brothers-in-law, Fred Clark Sr. and Earl Warfield, and an infant son, Nathan Ray. Visitation will be from 4:00 until 7:00 p.m. Wednesday, August 29, 2018, at Schultz Funeral Home, DeWitt, Iowa, with a masonic service at 7:00 p.m. in the funeral home. A Funeral Service will be held at 10:30 a.m. Thursday, August 30, 2018, at Faith United Methodist Church in Monmouth, Iowa. Burial will be at Union Cemetery in Clinton County.